Getting certified isn’t the end of the certification journey. In many ways, it’s just the beginning of a new process. Once you’re certified, you have to meet certain criteria to keep your certification. 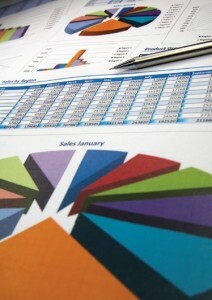 Auditors want to know that you not only have a quality process in place, but that you actually implement that process. You can also download our latest white paper, The ISO Certification Playbook, to get a comprehensive guide on how to get certified. It walks you through every step in the process, from making the decision to get certified to choosing a certification partner to communicating new processes with your staff. After getting your certification, you are subject to renewal audits every three years. Those audits are just like the initial audit. An auditor stays onsite for multiple days and looks for major and minor findings. Just like in the first one, minor findings should be resolved, but aren’t reasonfor concern. Major findings could lead to the revocation of your certification if they’re not resolved. The key to passing those renewal audits is to continue to work your quality system. Stick to the documented processes. Document everything. Take corrective and preventative action when needed. The auditors don’t just want to see that you have a process in place; they also want to see that you’re implementing it. In this scenario, you would designate one or several employees as your auditors. They would be charged with learning the ISO standard and then acting as the auditor in an internal audit. To do this, though, the employee would need to go through a costly multi-day training to become a qualified internal auditor. This may seem like a cost-effective solution because you don’t have to hire an outside consultant. However, for this to work, you need to be confident that the employee fully understands the quality documents and ISO clauses. You may also have to shift their normal day-to-day work to other employees, which could wipe out any potential cost savings. With this method, you would hire an outside consultant to come in and play the role of auditor. The advantage is that you’ll get someone who is well-versed in ISO standards and may be able to spot major and minor findings that an employee wouldn’t see. When we run these audits, they usually last two days. We do a thorough audit and leave the shop with major and minor findings, just like would happen in a real renewal audit. That gives the shop specific action items to make sure they keep their certification. Whichever method you choose, it’s important that you do audits on an annual basis. There’s nothing worse than trying to prepare for a renewal audit at the last minute. That’s almost always a recipe for an unfavorable outcome. Remember, certification isn’t just about having a piece of paper or a designation. It’s about providing high-quality products to your customers in the most efficient manner possible. Certification improves your business. When implemented correctly, it saves you money and drives revenue. These on-going audits aren’t meant to inconvenience you. They’re meant to help you improve your process and get the most out of your quality procedures. View these periodic assessments as constructive exercises. If you look at them as opportunities to improve, you’ll likely see the results in your business. Get Manufacturing information straight to your inbox. Get notified when we post a new blog article.